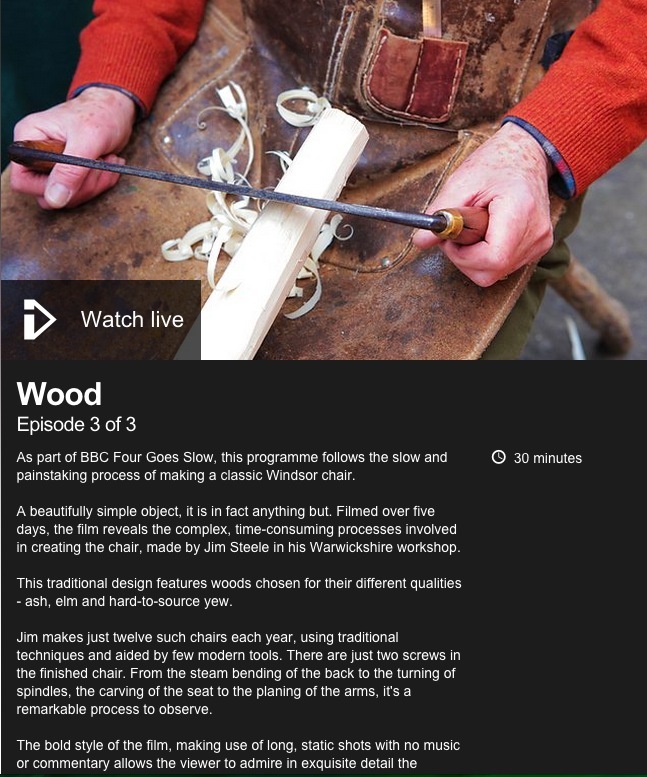 A little late to this as the programme is on at 8pm this evening, but as part of the BBC4 Goes Slow schedule tonight’s episode in the Handmade series is on wood and looks at the making of a Windsor chair. The programme link is here: http://www.bbc.co.uk/programmes/b05tpx1l and should be available on BBC iplayer after transmission tonight, if you miss it. Apologies for late notice!